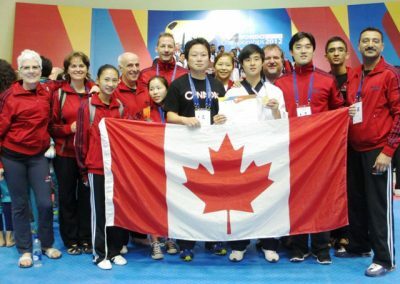 Poomsae is evolving from the traditional core curriculum of Taekwondo into a modern athletic sport. In addition to the modifications to its nature, there has been a big change in terminology. 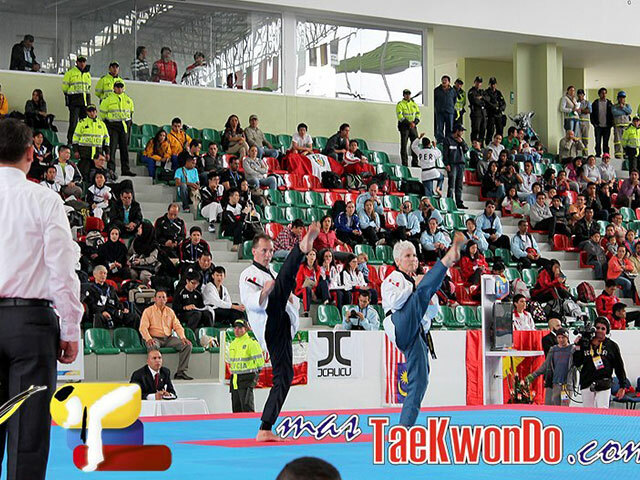 On February 26, 1987 changes were made at the Kukkiwon Technical Committee, with advice from the Korean language scholastic society, to make Poomsae the official spelling in Korean. 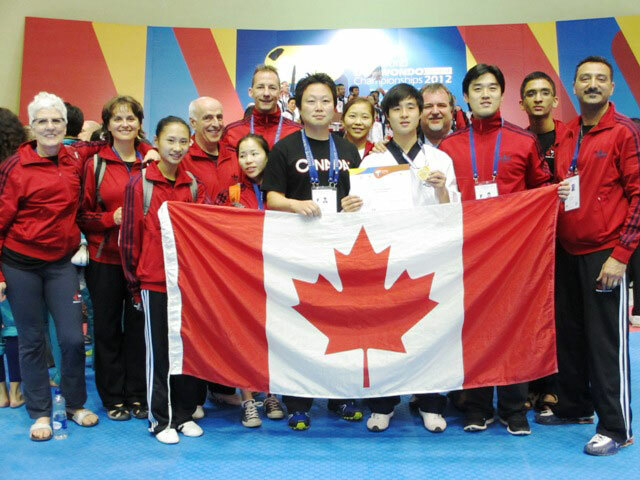 Even though Poomsae has diverse meanings and understanding due to its complexity in movements and philosophy, it is only a two-letter word from the letters Poom and Sae in Korean. Before February 1987, Poomse not Poomsae was used. Poomse was made up with two Chinese word and Poomsae is formed from one Chinese letter and one Korean word: Poom which means appearance or characteristics, and Sae which is the authentic Korean word meaning shape, appearance and style. 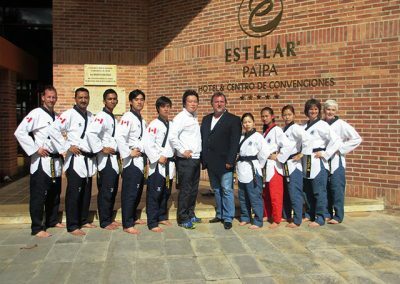 In English, since Poomsae is a foreign word and not listed in dictionary, is up to the writer to determine the spelling which better describes the original pronunciation. Therefore it can be spelled “Poomsae”, or “Poomse” (Lunsford, Conners and Segal, “The Everyday Writer”, New York 1997) In other words, Poomsae and Poomse are both grammatically correct; however, from a Taekwondo practitioner’s point of view, Poomsae is probably more authentically aligned with the traditional interpretation. 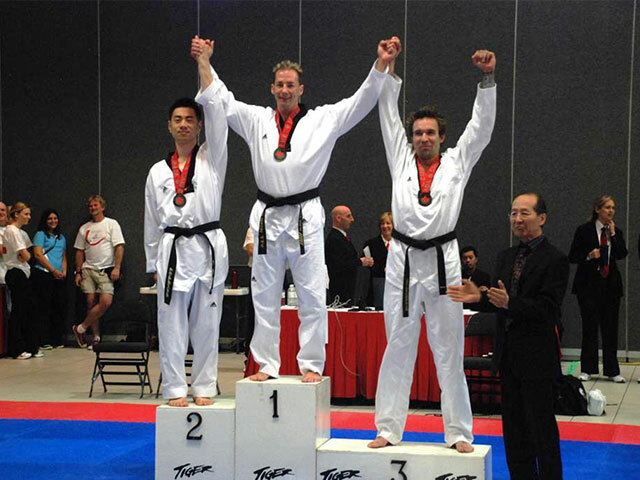 MASTER SADLER wins GOLD at the first ever Taekwondo Poomsae National Championships in Edmonton in May 2010. 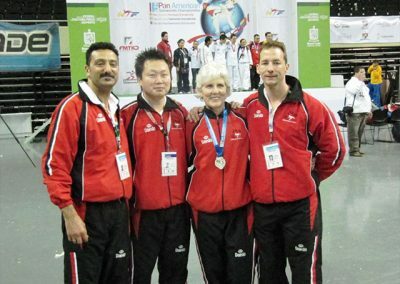 MASTER SADLER was a proud member of Team Canada competing in the first ever Taekwondo Pan American Poomsae Championships in Monterrey, Mexico in December 2010. 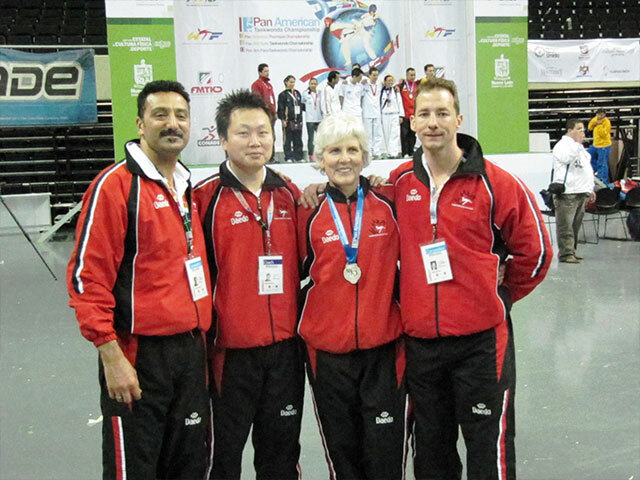 MASTER SADLER was a proud member of Team Canada competing at the 7th World Poomsae Championships in Tunja, Columbia in December 2012. MASTER SADLER competes in Columbia with his training partner and friend, Master Shelley Vettese-Baert in Pairs, just missing finals.